Lord Vampyr (Alessandro Nunziati) is an Italian Black metal singer. He formed the Symphonic Black/Gothic metal band Theatres des Vampires but he decided to leave in late 2004. 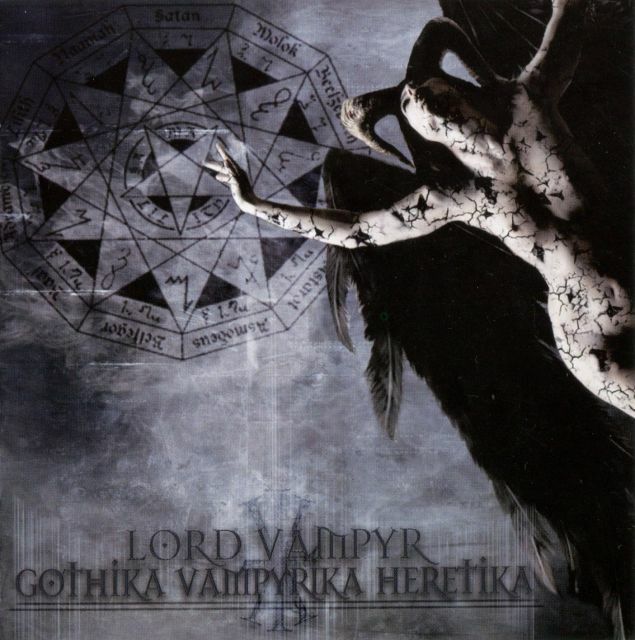 He then started with the band Lord Vampyr in 2004, His style is very similar to the style of his former band, a Symphonic black metal with strong Gothic metal influences and lyrics with deals with vampirism and similar thematics. is style is very similar to the style of his former band Theatres des Vampires, a Symphonic black metal with strong Gothic metal influences and lyrics with deals with vampirism and similar thematics.In 1988 Lord Vampyr found the band Sepolcrum. After the third demo, they became VII Arcano. After “Gather My Blood Forever” released (1994), the band split, and Lord Vampyr founded Theatres des Vampires, while VII Arcano, changed their style into Thrash Metal. The members of band expressed fascination with vampires and anything connected to them, earning themselves and their music the title "vampiric metal" from their contemporaries. The band created a coherent image of vampirism in their stage performance and within the lyrical themes, atmospheres of their music, which contributed heavily to the gaining of their fanbase. During their career, the band was first influenced by symphonic black metal, but later they include different influences like classical music, opera, darkwave, deathrock, gothic rock and several industrial subgenres. 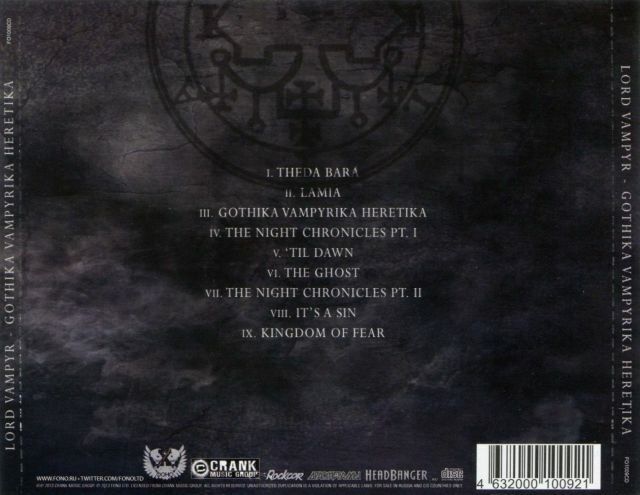 Throughout this stylistic deviation, a few characteristics of their music are remained consistent; lyrics and melancholic atmospheres, vocal styles near to gothic metal, and their vampiric image. 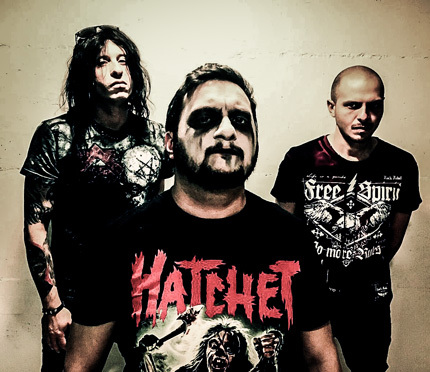 The band has produced 10 albums in 10 years with the English label Plastic Head, and has gained more recognition within the metal scene in Europe, South America and Russia, partially due at their participation in various festivals around the world. These include Vampyria III in London in 1999, Gods of Metal in Italy in 2000, Wave-Gotik-Treffen in Leipzig in 2003 and in 2006, Gotham in London in 2004, . In 2003 the band was in tour throughout Europe with Christian Death, and recorded an album with the collaboration of Valor (Christian Death) and Gian Pyres (Cradle of Filth) as special guests. Between 2004 and 2007, Alessandro Nunziati has worked on several projects: Cain, Shadowsreign Nailed God and then to return to his main project in 2008 and then back with a new band (released of the album "Carpathian Tragedies"), hereinafter the band went on tour (Mexico), that took place in two parts for a total of about 20 shows. In 2009 signed a contract with a new American label (Crushing Balls Records), the new album will be released March 15, 2010. in December 2011 Lord Vampyr produce a CD to celebrate the anniversary of Vampyria Gothic Cafè, this CD contains four new songs, a remix and for the first time on cd the promo 2007. Currently the band is working on new material.